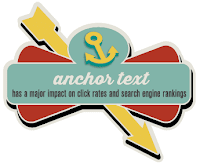 In seo you may have listened a lot about the two terms, one is ‘keyword’ and other is ‘anchor text’. People take both of these as same meaning but there is a lot difference between anchor text and keyword. Keyword is that which we are targeting to optimize our website for its better rankings in search engine results. We target keyword based backlinks so that Google or other search engines will take them as plus towards our website and rank our website on top of others on behalf of these backlinks. Anchor text is the text which is hyperlinked to our website from another website on the web. Now you might be thinking that keyword is the word we would like to hyperlink to our website. Then how are these two different. The difference between anchor text and keyword is that you can use keyword as anchor text but not every anchor text is a keyword. In term of getting natural backlinks from other websites it is told that you must not use your keywords always to hyperlink your website. It can cause problems as search engine may have taken it as a spamming activity. So avoid always linking your website with targeted keywords. Use some general words which look natural as ‘visit website’, ‘click here’, etc. Natural links are more powerful than the spamming ones. You links can appear spammy if created with just targeted keywords. Be secure and don’t let search engines to demote your links for creating links just by keywords.